The arrival of a new baby in the home shouldn’t mean that you need to say goodbye to another member of the family, your cat. Unfortunately, nearly a third of expectant parents have been told that they should give up their moggy when a baby is on the way, and over half of those that did went on to regret their decision. 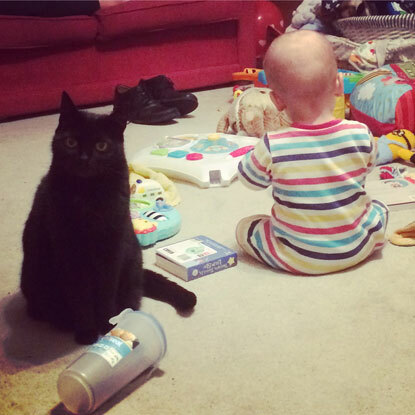 To show that you can keep cats and children happy together, we’ve asked some cat-owning parents to share their stories of raising the purrfect family. Nicola and her partner Simon adopted their cat Vera from Cats Protection’s Warrington Branch before they had a child. As Vera had been used to sleeping on their bed, they got her one of her own and kept the baby’s cot off-limits. They also played baby crying sounds so she wouldn’t be startled when the newest member of the family arrived. 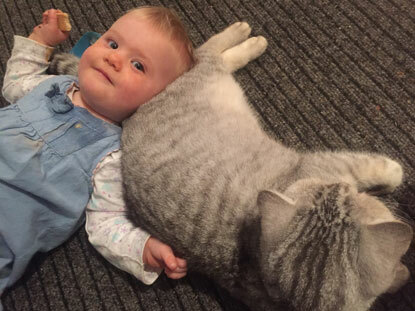 “It surprised me how attached she quickly became to my growing stomach and often snuggled up around it, poking it back when he kicked her but still refusing to move from her spot,” Nicola added. 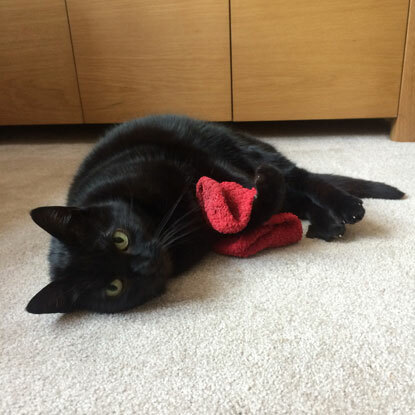 “In my final trimester, she started displaying the same nesting behaviour as I was and became obsessed with one of my red socks. She would carry it around with her, groom it and snuggle it, like it was a kitten. Vera has never had kittens of her own. Now a toddler, their son loves Vera and is learning to be gentle with her and give her lots of space to get away when she needs to. Jasmine is a Cat Care Assistant at Cats Protection’s Cornwall Adoption Centre and owner of three moggies; Charlie, Max and Tiggles. When she found out she was expecting twins, her midwife advised her to give up her cats, but Jasmine didn’t give it a single thought. “The cats were part of the family first and we were all going to find a way to all live together,” said Jasmine. She made sure she got all the baby equipment out early on in her pregnancy so it wasn’t new and scary for them, and played some baby sounds to get them used to the crying. 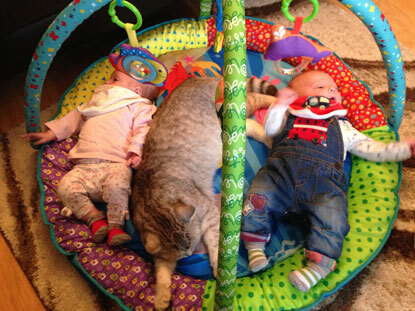 When the twins arrived, she made sure the cats had somewhere to get some peace and quiet, and that she gave them some fuss each day. “For me the most important thing was to teach the twins to respect the cats, learn their individual personalities and read the signs. They are never too young to learn this. Max is very chilled and happy to be fussed and hugged however Charlie can be grumpy at times so the twins learnt to only stroke him a little and never follow him if he walked away. 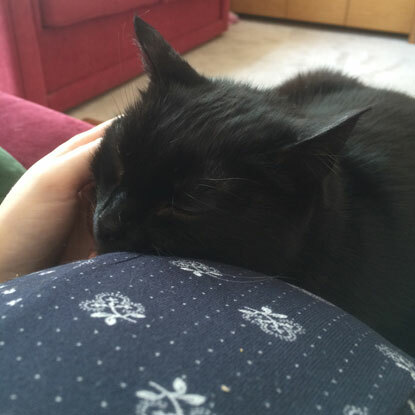 Do you have a story about your moggy being the purrfect companion during your pregnancy, or a tale of kids and kitties getting on well together? Let us know in the comments below or on Facebook or Twitter!